This week started with a plan and a list of things I wanted to accomplish. But as typically happens, that plan was taken out of my hands and "altered." Needless to say, things that I wanted to get done didn't see completion. The downside of working part time as a substitute teacher is that when you most need an afternoon to snap some pictures and finish a DIY, you are called in unexpectedly to teach. But there is no sense in complaining, especially since it looks like those circumstances are going to continue into the upcoming week. So, posts may be a little sparse....Or maybe I'll surprise myself and get everything done. I guess you'll just have to wait and see! Exposure in photography refers to the amount of light allowed into your photos. If it is used correctly, exposure compensation has the ability to give you brighter and whiter pictures! Today is likely our last Photography 101 lesson because we have pretty much covered the basics of adjustments on your camera. Some of you have mentioned that you're interested in learning about editing, staging, and what techniques go into taking good pictures so we'll begin covering those topics soon. Our final lesson is about exposure compensation. This is useful after the adjustments have been made with aperture, shutter speed, and ISO. It is really one of my favorite adjustments, but can be easily overused. We decorate entire rooms, but sometimes it is the smallest changes that put a smile on our face. 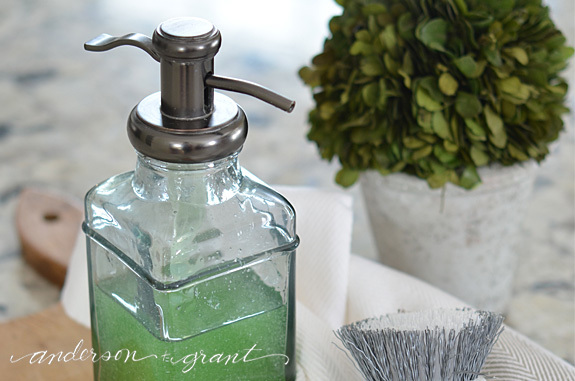 This easy solution for storing your dish detergent will instantly brighten your kitchen! As the snow continues to fall, we all need to do little things to add happiness to our day and our homes. Something as simple as stopping at the store on your way home to buy a bouquet of flowers can instantly give you a boost. 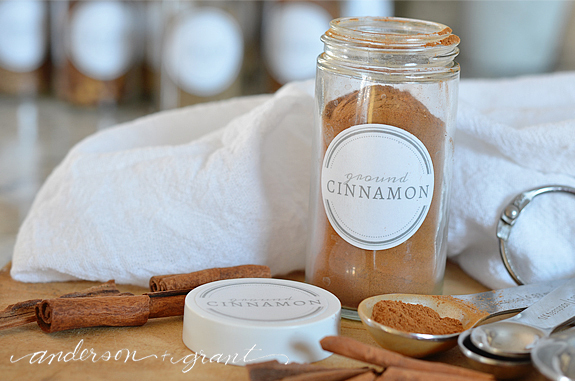 Today's simple tip is one of those things that will brighten your day....and your kitchen! Did you realize that today is Friday? It seems like just a few days ago that I typed the last Friday Favorite post and now the day has rolled around again. Don't get me wrong....I LOVE Fridays and anxiously anticipate the end of the week. But I just don't know where my time is going lately. In case you didn't notice, today is my first post for the week aside from yesterday's link party. I've been in a real mid-winter funk lately and just can't seem to get motivated to blog (or do much of anything else). Anyone else feeling the same way? The worst part is that I even have a couple posts pretty much done.....I just couldn't work up the enthusiasm to finish them. There is always next week, I guess! Today's post is going to be short and sweet. Thursday was and birthday, and I normally try to do this post then. But who wants to work on their birthday, right?!?! Luckily, I already had some favorites picked out so part of the job was already done. My mom made me a fabulous turkey dinner (and yummy cheesecake) to celebrate. It is hard to believe I'm 32 because I don't feel that old. And I was told by someone last week that they thought I was 25, so I guess I don't look that old, either. I hope you enjoy my slightly shortened post today and have a fabulous weekend. It sounds like it is going to be another frigid one in my neck of the woods, so I'm seeing a few days of curling up under a blanket in my future! If you need some pretty new labels for your spice jars in the kitchen, these are the ones for you! 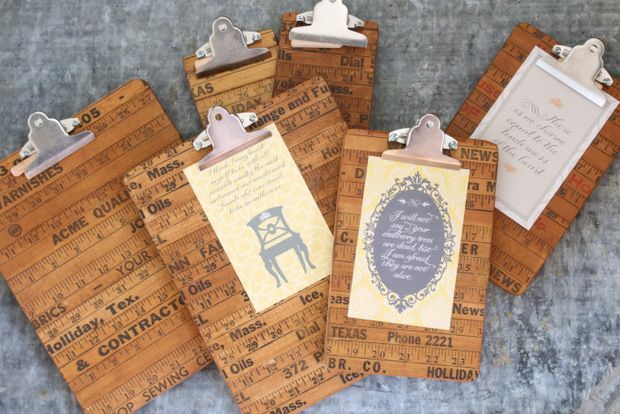 There is a free printable page, plus, I'm sharing tips on how to make them yourself. I am a happy girl when things are labeled, and if that label is pretty to look at even better. While organizing my kitchen recently, it became clear that the labels on my spice jars long ago needed to be changed. I don't even remember how long they had been on the jars and were looking pretty shabby. Plus, I have a new pull out spice rack in the cupboard to store them and it requires the label to be on the top of the lid rather than the front of the jar. How are you surviving through this lovely winter weather? So much of the country seems to be having their fair share of snow, cold, and wind. The snow on the ground around my house is now as high as my porch, so any more snowfall and I'll be shoveling up onto a pile to get out of my house. And the snowplow piles are about twice that high. It could be so much worse, though, I suppose! I'm really excited about all the things I've been seeing on Pinterest lately and have been pinning like crazy! So that I don't overwhelm my followers and so that each week's favorites can be a surprise, I have a secret Pinterest board just for my Friday Favorites. Right now it is so full of inspiration that I can take a break of a couple weeks away from searching.....but the liklihood of me staying off of Pinterest that long is pretty slim! If you're interested in following along with what I'm pinning, click here. 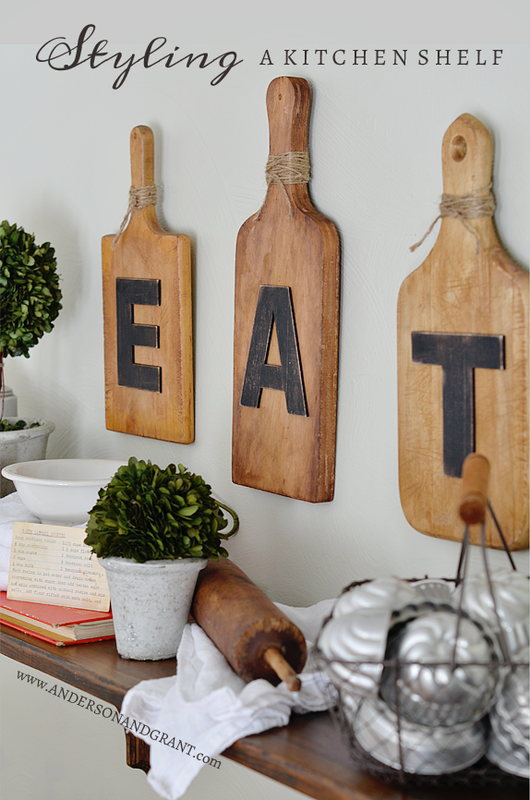 Old kitchen gadgets and cookbooks can be fabulous things to use when decorating. 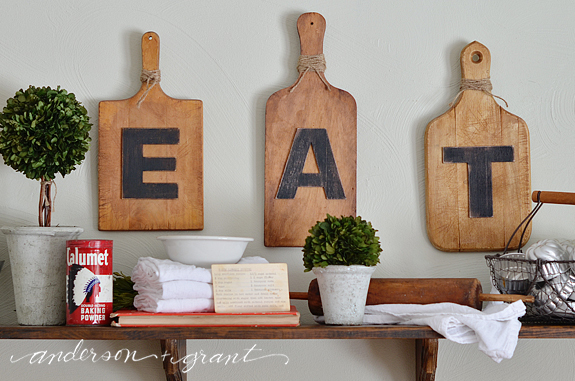 See how to use these treasures to style a shelf in the kitchen! 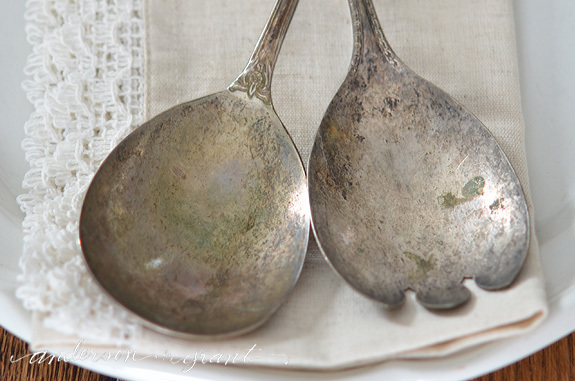 When out shopping in antique shops and thrift stores, I seem to be drawn to items that have been used in the kitchen. Old muffin tins, silverware, rolling pins.....they all call my name. And unfortunately, I'm starting to get quite a collection! 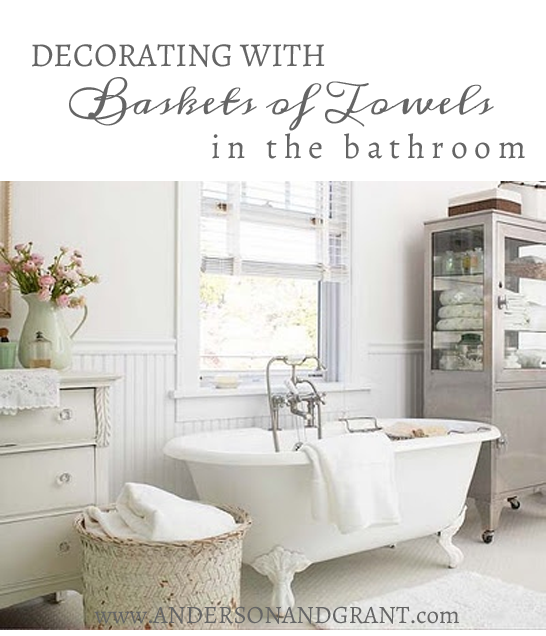 What better opportunity than now to show you how to use these items for decorating? An open shelf is the perfect place to display a collection of different items you love. Whether the treasures are actually being used or resting on the shelf for purely decorative purposes doesn't matter. What is important is that each item means something to you. And it may be that the only meaning is that you enjoy looking at it! Are you lacking in storage space in your bathroom? 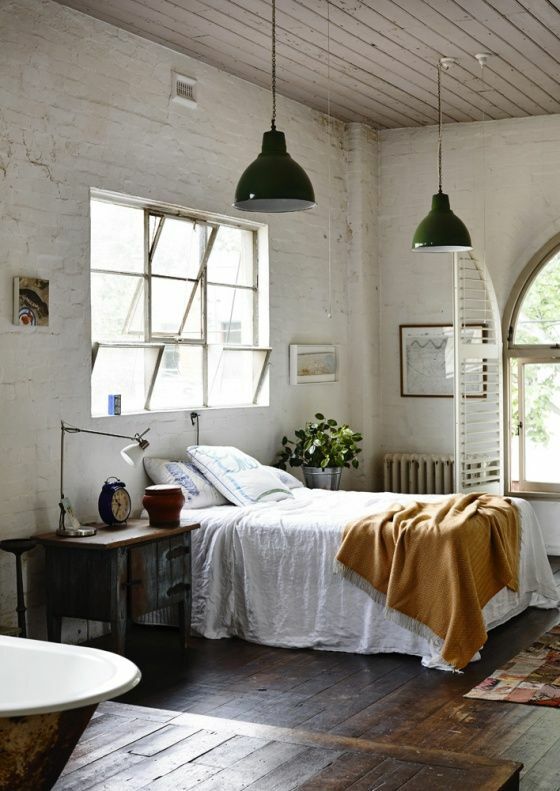 If so, fill a unique basket with rolled up bath towels to save on room in the cupboard and add a little bit of personality to the space!